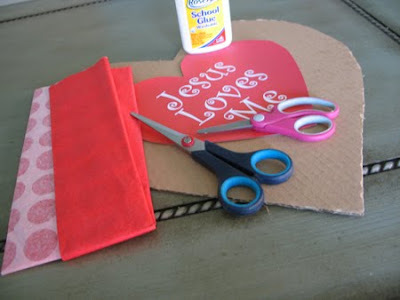 Use the old-fashioned wrap-each-square-around-the-end-of-a-pencil-and-dab-it-in-some-Elmer's -Glue-method to fill in your Valentine decoration. Be sure to pack them in close so your design looks very full: Our red heart is framed in white. Finished size is 14" x 15". Add a little wire loop for hanging and you're done! Visit the linkups at A Soft Place to Land & Today's Creative Blog for other crafts. Love this. It reminds me of when my daughter was little. 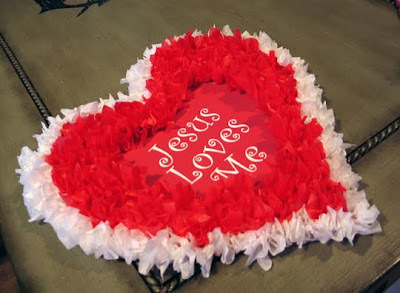 Her birthday is February 15th so we would sometimes use the Valentine/Jesus Loves Me theme for her birthday celebrations. Thanks. How cute, what a neat craft idea. Very adorable... I'll have to make this project with my daughters. Thanks for the idea. Sweet! Lindsay at livingwithlindsay.com posted a similar fabric heart wreath today. That is so pretty! Thanks so much for the idea, I'll be linking. oh my gosh! that is gorgeous! So pretty and colorful. So, so cute. 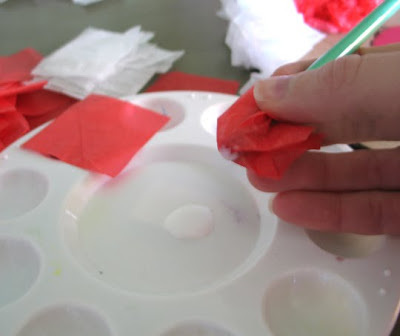 I remember doing tissue paper art in elementary school! Thanks so much for your sweet comments. I hope you follow my blog and look forward to getting to know you better. So sweet... can't wait to do this!! Bookmarked this. Show one's gratitude you against sharing. Positively benefit my time. Too, too cute! I think my kids would love to help me with this! Thanks for stopping by my blog-I took your tip and posted some on etsy. I love it! 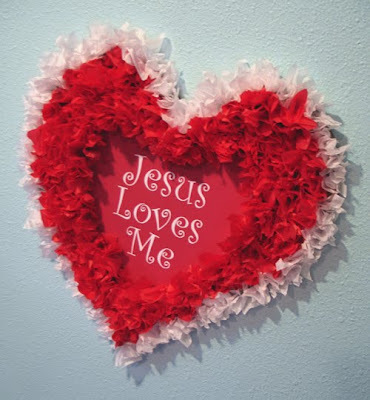 And I love the "Jesus Loves Me"... praise the King! 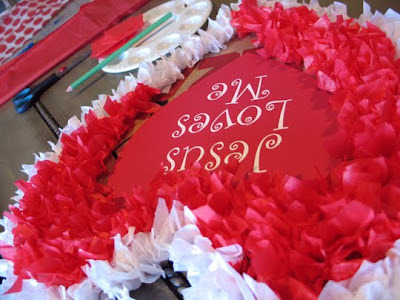 Great craft for Valentine's month! Very few like this online.